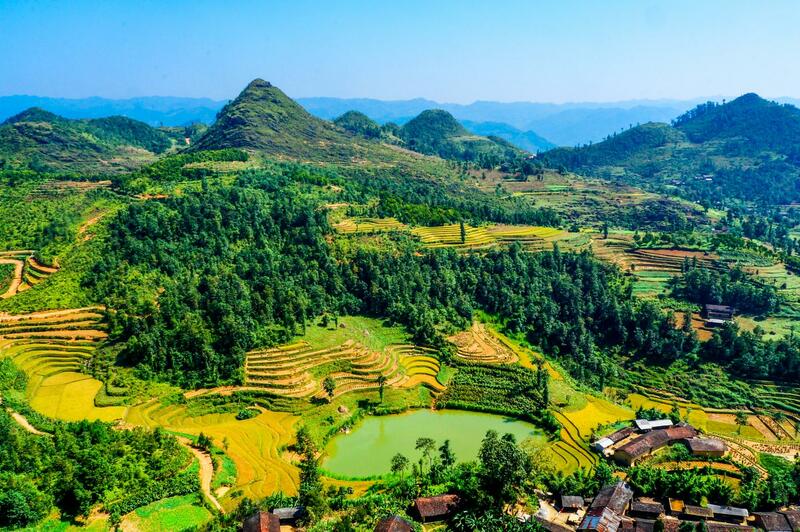 Ha Giang opened its door to tourists less than 10 years ago, one of the poorest province, sharing its 270km border with Yunnan. 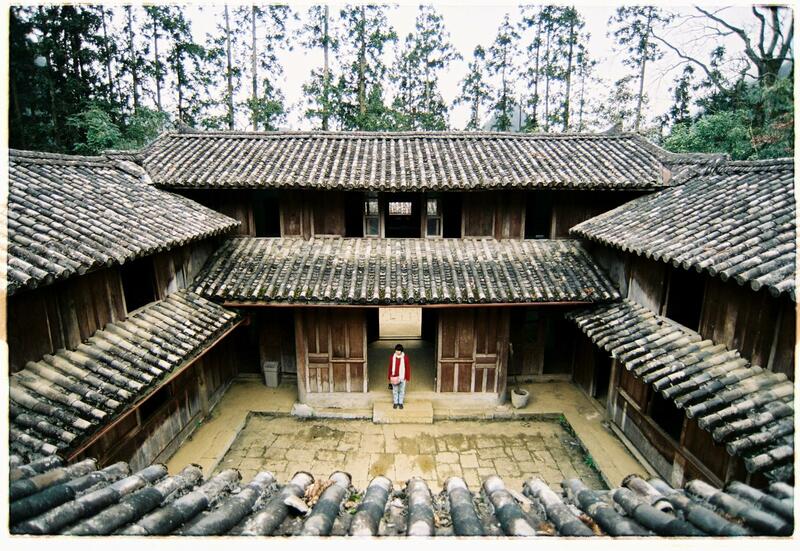 It is a land of mountains and hills, dotted by its majestic limestone mountains, the legendary Dong Van plateau. Its picturesque winding roads and terraced fields. 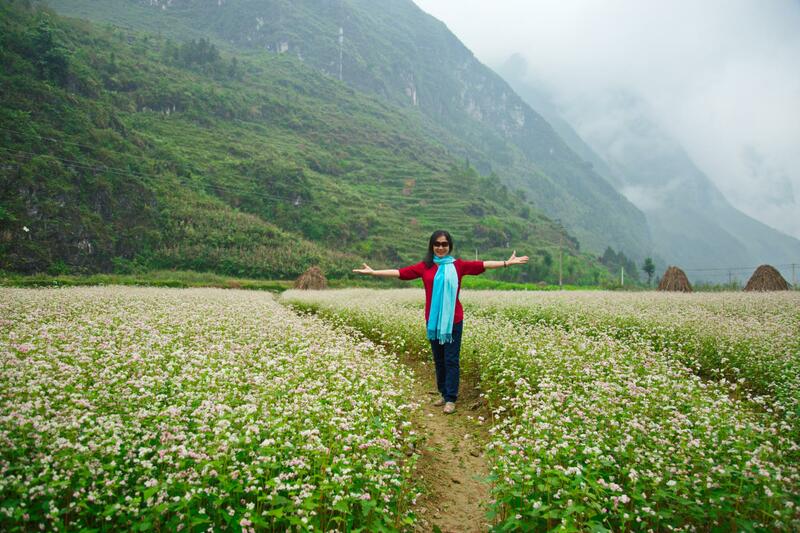 In October and Nov, Ha Giang is also famous for its bright pink rose flower fields, a special flower called Tam Giac Mach. 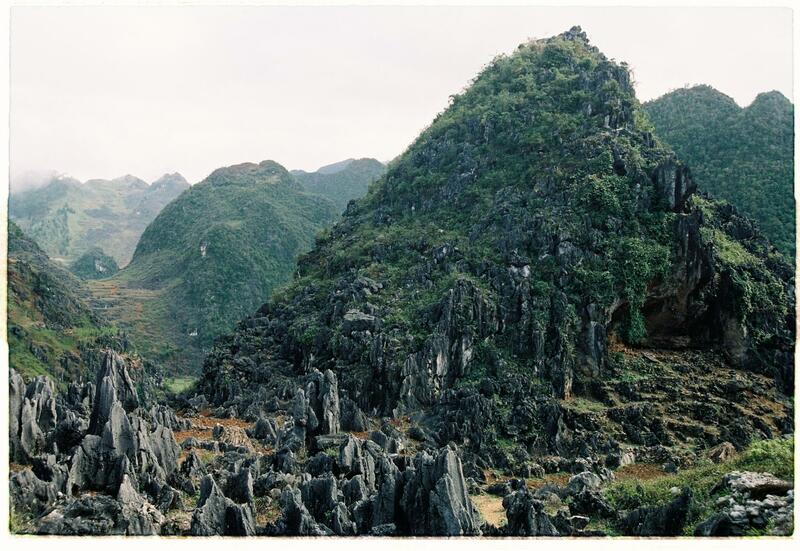 So, let's get on this road trip to the less touristy Northern Vietnam. Here is a glimpse of what we will be seeing and experiencing. The Tam Giac Mach flowers that flower in Oct and Nov. We will walk the flower fields and take as many photos as possible. The scenery is gets more stunning with high passes and august mountains. We will get photo opportunities at Quan Ba pass and Quan Ba Heaven Gate howerver we will have to climb some steps to get the perfect view point on top of a hill. We will have lunch break at Yen Minh town. 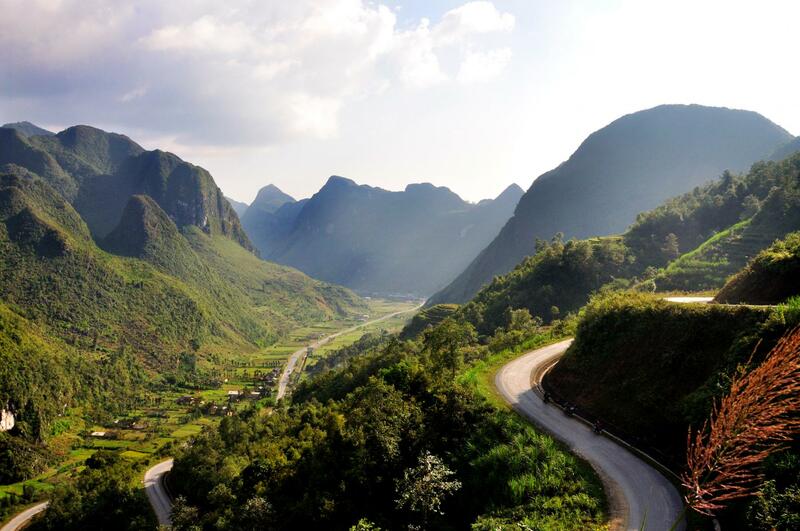 The afternoon drive will be just amazing, our driver will do his best for us to stop as often as possible for us to admire the scenery as we make our way to Dong Van Karst Geo-park. The next morning, on the way towards Meo Vac, we will make a stop is at Ma Pi Leng Pass. 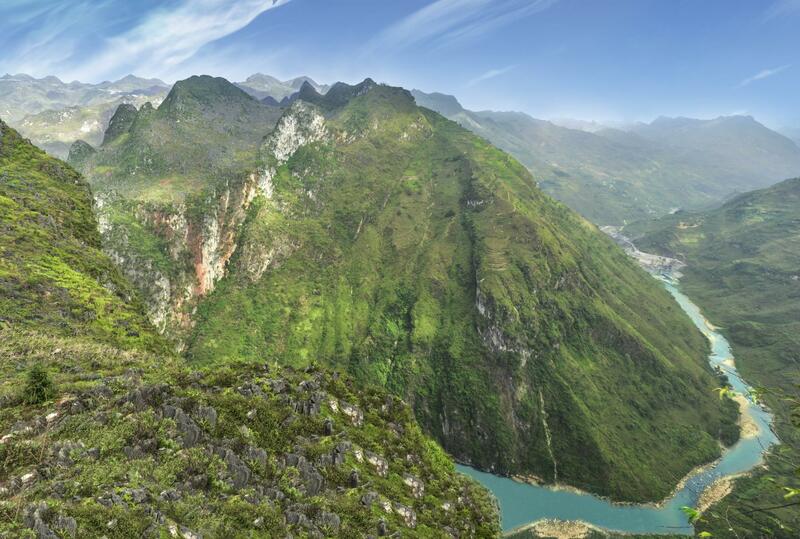 The scenery in Ma Pi Leng pass is unique with majestic and wild beauty. From the Pass, we can see thousands of gray mountains concatenate to the horizon. Next to the road is abyss and tiny Nho Que River bottoms the huge abyss. We will continue on our drive through the small town of Meo Vac back to Yen Minh town on a different road. The landscape is not less impressive than the day before while you are traveling on a winding road amongst the grey stones. On the road trip, next to the road is abyss and tiny Nho Que River bottoms the huge abyss. The flowers blooming are subjected to weather conditions. I have arranged it such that we stand the highest chance of seeing the flowers bloom. I thought this place is best experienced with some trekking as we get to live in homestay and interact with the locals. I understand however, many may not want to trek and so I decided to make this a road trip instead. For some that may want to trek, please let me know and I will make another hiking trip to this beautiful place.